wellness « They Said What? This is the third in a series deconstructing the Health Enhancement Research Organization’s (HERO) attempt to replace the basic outcomes measurement concepts presented to the human resources community in Why Nobody Believes the Numbers with a crowdsourced consensus version of math. The first installment covered Pages 1 to 10 of their outcomes measurement report, where HERO shockingly admitted wellness hurts morale and corporate reputations. The second installment jumped ahead to page 15, where HERO shockingly admitted wellness loses money. This report covers pages 11-13. Next week we shall be covering Page 14. All the luminaries in the wellness industry got together to crowdsource arithmetic, and put their consensus (a word they use 50 times) in an 88-page report. Unfortunately, math is not a consensus-based discipline, like democracy. It is not even an evidence-based discipline, like science. It is a proof-based discipline. A methodology that doesn’t work in hypothetical mathematical circumstances is proven wrong no matter how many votes it gets. The pages in question list 7 “methodologies” for measuring outcomes. To begin with, consider the absurdity of having 7 different ways to measure. Imagine if you asked your stockbroker how much money you made last year, and were told: “Well, that all depends. You could measure that seven different ways. And by the way, six of those ways will overstate your earnings.” Math either works or it doesn’t. There is only one right answer. As a sidebar, one of the many ironies of this HERO report is that most of these methodologies emphasize the need for actuarial or consulting “inputs” or “analytic expertise”…and yet no mention was made on Page 10 of the cost of this expertise when all the elements of cost were listed. While not mentioned as a cost element, consulting firms are very expensive And even if consulting were free, we generally recommend hiring only consultants to do outcomes report analysis who are certified in Critical Outcomes Report Analysis by the Validation Institute. By contrast, Staywell and Mercer offer an example of what happens when you as a buyer use non-certified “consulting expertise” to evaluate a vendor. Here’s what happens: the vendor wins. Needless to say, Staywell showing savings 100x greater than what Staywell itself said was possible simply by reducing a few employees’ risks raises a lot of questions. But despite repeated requests and offers of honoraria to answer these questions, Mercer wouldn’t answer and the only response Staywell gave us was to accuse us of bullying them. Staywell and Mercer held firm to the Ignorati strategy of not commenting—even though Mercer was representing the buyer (British Petroleum), not the vendor. Oh, yes—both Staywell and Mercer are represented on the HERO Steering Committee. Mercer has been a big proponent of this methodology, as in the previous Staywell example. At one point they used “projected trend” to find mathematically impossible savings for the state of Georgia’s program even though the FBI(!) later found the program vendor, APS, hadn’t done anything. In North Carolina, they projected a trend that allowed them to show massive savings in the state’s patient-centered medical home largely generated, as luck would have it, by a cohort that wasn’t even eligible for the state’s patient-centered medical home. Comparing to an “expected” trend is one of the most effective sleight-of-hand techniques in the wellness industry arsenal. Every single published study in a wellness promotional journal comparing results to “expected trend” has found savings. And have you ever hired a consultant or vendor to compare your results to “expected trend” who hasn’t found “savings”? We didn’t think so. The funny things about this methodology are twofold. If you had perfect information and knew who had chronic disease (before the employees themselves did) and everyone stayed put in either the non-chronic or chronic categories, you could indeed use non-chronic trend as a benchmark, mathematically (though the epidemiology is still very squirrelly). The numbers would add up, at least in a hypothetical case. But we can’t identify anywhere near 100% of the employees who have chronic disease. Absent that perfect information, any fifth grader could understand the proof that this methodology is fabricated, as follows. Assume that 10 people with a chronic disease cost $10,000 apiece both in the baseline and in the study period. Their costs are therefore flat. 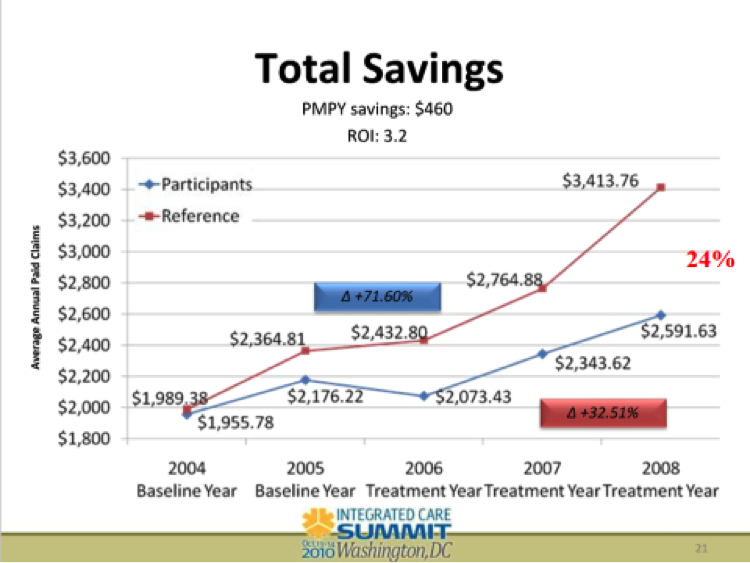 The program did not reduce costs between periods. Now add in 10 people with undetected chronic disease as the “non-chronic benchmark.” Maybe they are ignoring their disease, maybe they don’t know they have it, maybe they are misdiagnosed, maybe the screen was wrong (vendor finger-pricks are very unreliable). Assume these 10 people cost $5000 in the baseline…but they have events in the study period so their costs become $10,000. That makes the “non-chronic trend” 100%! Suddenly, the program vendor looks much better because they kept the costs of the chronically ill cohort constant even though the “benchmark” inflation was 100%. At Quizzify, wellness results always add up. My challenge: Either collect your $1,000,000, or publicly apologize for proposing a methodology which you know to be made up. Or is offering you a million dollars “bullying,” a word defined very non-traditionally in this field? Our bad. Besides not making any intuitive sense that active motivated engaged participants are somehow equivalent to inactive unmotivated non-participants, Ron Goetzel already admitted this methodology is invalid. Health Fitness Corporation, accidentally proved that on the slide below. Note that they “matched” the participant (blue) and reference (red) groups in the 2004 “baseline year” but didn’t start the “treatment” until 2006. 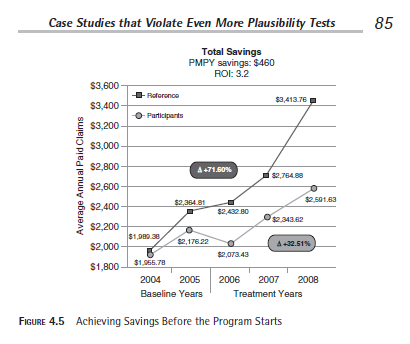 However, in 2005, they already achieved 9% savings vs. the “reference group” even without a program. This “mistake” was in plain view, and was pointed out to them many times, politely at first. Page 85 of Why Nobody Believes the Numbers showed it, but as the screenshot below shows, I was too polite to mention names or even to call it a lie, figuring that as soon as Health Fitness Corporation or Ron Goetzel saw it, they/he would be honest enough to withdraw it. That way, I would know that if Mr. Goetzel and his Koop Committee and their sponsors HFC didn’t remove this display, it was due to a deliberate intentiion to mislead people, not an oversight or rookie mistake. Sure enough, that display continued to be used for years. Finally, a few months ago, faced with the bright light of being “bullied” in Health Affairs, HFC withdrew the slide. Ron “the Pretzel” Goetzel earned his moniker, twisting and turning his way around how to spin the fact that this “mistake” was ignored for so long despite all the times it had been pointed out. He ending up declaring the slide “was unfortunately mislabeled.” He gave no hint as to who did the unfortunate mislabeling, despite being repeatedly asked. We suspect the North Koreans. The whole story is here. They call for megadoses of consulting and analytic expertise, contradicting the list on Page 10 that omits the cost of outside expertise. Speaking of Methodology #6, our next installment will cover it. It’s called event-rate based plausibiltiy testing. I would know a little something about that methodology, since I invented it. I am flattered that the Wellness Ignorati, seven years later, are finally embracing it. I am even more flattered that they aren’t attributing authorship to me. No surprise. That’s how the Wellness Ignorati got their name – by ignoring inconvenient facts. Ignoring facts means they cross their fingers that their customers don’t have internet access. Customers who do can simply google on “plausibiltiy test” and “disease management” and see whose name pops up. The HERO Report concludes that wellness loses money. We agree. We also think it loses much more money than they will admit to, but the news here is not about us. The news is that more than 3 dozen self-described experts and industry leaders representing more than 2 dozen companies have reached consensus that their industry loses money. Together, the HERO findings — and our broad consensus with those findings — have serious Affordable Care Act policy implications. The entire basis for the ACA “Safeway Amendment” allowing large fines for (among other things) failure to lose weight is that the cost savings from skinnier employees merits invading their privacy, dignity and automony through medicalizing the workplace (“companies playing doctor” as some have called it). Senate committee hearings, proposed new legislation, and EEOC lawsuits around this provision have all been based on the assumption that wellness saves money. The Senate committee never even lobbed a softball question about that assumption, and even the more hostile witnesses didn’t challenge it. Recently there was even an eyeball-to-eyeball encounter between the Business Roundtable’s (BRT) Gary Loveman and President Obama. 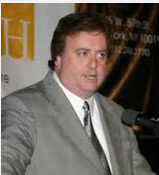 Even though his company (Caesar’s) went bankrupt while embracing wellness as essential to their profitability, Mr. Loveman argued that corporations should be allowed to fine workers who don’t lose weight because the benefit to corporate bottom lines would trump both privacy concerns and the substantial health hazards of these programs. Apparently, though, Mr. Loveman’s company went bankrupt slightly faster because of wellness. Yes, along with employees, employers would be better off without forced (highly penalized or incentivized) workplace medicalization. If you fire your wellness vendor, everyone benefits. Everyone, that is, except the wellness industry denizens who make their money off this. That’s why we think HERO spoke the truth unintentionally. Very few people (I was one of them, having switched sides in 2007 when I saw that data failed to support wellness/disease management) willingly undermine their own incomes for integrity’s sake. So this posting will proceed on the basis that is was a gaffe on their part. Curiously, this is the second time in recent months wellness industry leaders have accidentally admitted wellness loses money, and the third time they’ve accidentally told the truth and had to walk it back. Equally curiously, wellness economics information disseminates very slowly if at all — testament in large part to the absolutely brilliant and flawlessly executed strategy by the Wellness Ignorati of ensuring that facts get ignored (hence their name). So even as the vendors are admitting that wellness loses money, benefits consultants and HR executives have once again pushed participation incentives/penalties to new highs, a whopping $693/employee/year, according to a new report. As for the figures themselves, we are also attaching a spreadsheet so that you—as an employer—can figure this out on your own in your own population, rather than just take HERO’s word for it that wellness loses money. 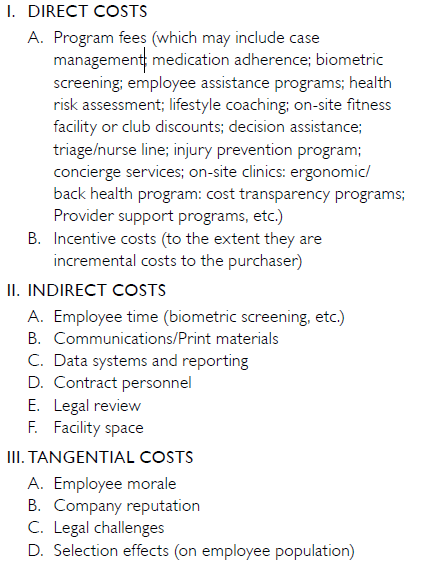 First, review the screenshot from the first installment, showing the costs of wellness. The list of cost elements is fairly exhaustive –down to the level of a space allocation for a health fair — though the Committee conveniently left out consulting fees. No surprise there, given that Mercer consultants sit on the committee. The reason for that? The savings from wellness – in the HERO committee’s own words below – are so trivial that in order for wellness to produce savings, the second screenshot has to ignore most of the costs listed on the first one. Whereas the first screenshot listed three categories of costs covering 12 different line items (13 if you count the AWOL consulting expenses), the second screenshot says you should only count one item: vendor fees. And by the way, the vendor fees themselves self-invalidate. At about $40 per employee per year, biometric screening fees alone cost more than the stated $1.50 per person per month, or $18/year. Yet $18/year is the total they list for all fees combined, including the $40 screenings. Rather than point out the many cost elements on the first screenshot missing from the second, we’ll invite you to use our spreadsheet and enter your own data instead of theirs. Simply fill in your own direct costs of wellness. The massive costs of overscreening, overdiagnosis, and overtreatment generated by biometric screens – all of which are conducted far more often than the USPSTF recommends and most of which (as in the examples we occasionally post on this site) include screens that no one other than a wellness vendor or consultant would ever propose. Against those costs are the benefits. Page 15 lists some alleged benefits of wellness that leave us scratching our heads. Generic substitution? How does that have anything to do with wellness? Quite the contrary, obsessing with wellness might take your eye off the generic substitution ball, and cause you to miss some tiering opportunities. (The company that is best at tiering its pharmacy benefit, Procter & Gamble, is also known for its current employee-friendly wellness program, sort of the anti-Honeywell.) And has anyone ever seen one health risk assessment (HRA) or participated in one health screen that even mentioned generic substitution? Outpatient procedures? Try to find one person in your organization whose outpatient procedure could have been prevented by eating more broccoli. And then the catch-all: savings through “overall wiser use of healthcare.” Come again? This is an industry that — as well documented by their own words captured on this website — makes its living telling employees to do exactly the opposite: go get checkups you don’t need and won’t benefit from, submit to screens far in excess of USPSTF guidelines so that vendors can brag about how many sick people they find, yo-yo diet for “biggest loser contests” and weigh-ins, like ShapeUp’s get-thin-quick 8-week crash-diet programs, and avoid eating fat and cholesterol and load up on carbs instead. Perhaps what the HERO committee intends is that since employees largely don’t trust their employers, they will do the opposite of the recommendations. Instead let’s focus on people who have cardiometabolic issues. In order to lose weight and reduce their risk, they need to switch to a low-fat, low-cholesterol diet. Oh, my bad! That is sooo 2014! While most of us not in the wellness business already knew the dangers of eating too many simple carbohydrates long before now, even the most ardent card-carrying member of the Wellness Ignorati learned in March that all their dietary advice has been wrong — to go along with their incorrect screening and checkup advice. Yet recommending exactly the wrong things hasn’t stopped most vendors from claiming massive savings. See “On the (Even) Lighter Side” and The Smoking Guns for examples. Now let’s look at all the hospitalizations that can be avoided through wellness – heart attacks, angina, hypertension, and…um, hmm…did we mention heart attacks? You’re thinking: “What about diabetes events?” OK, we’ll add diabetes, only because the HERO report lists it and we want to be true to the report. But diabetes complications admissions (like CHF, which they also list) are a disease management issue, not a wellness issue — you can’t prevent or manage diabetic neuropathy or left-ventricular heart failure by eating more broccoli. The $1.50 PMPM price would not be high enough to also include disease management, and in any event what one does in disease management for complex cases is much different from a typical “pry, poke, prod and punish” wellness program. So we are now adding all ischemic and hypertensive heart events and diabetes as what they call “potentially preventable hospitalizations.” How many of your hospitalizations are for those items? Simply run the primary codes for those events, being careful not to double-count professional fees, to see how many you had. Here’s what happens when you do it for the United States as a whole. So—using the HERO Committee’s own acknowledgment of the undeniable fact that wellness can only impact wellness-sensitive medical events (WSMEs) and using the diseases that the report says to use — less than 6% of admissions are WSMEs. 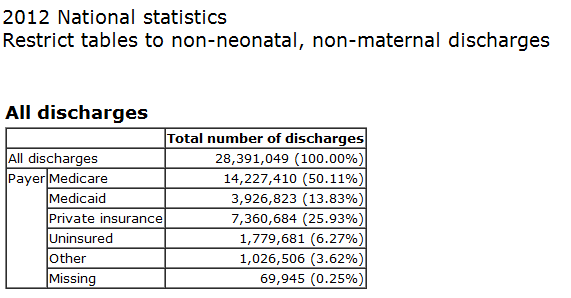 If your non-birth-event admit rate is, as the report says, 45 per 1000, then you have 2.6 admissions per 1000 in non-smoking-related WSMEs. Once again, don’t take our word for this. Run this analysis on your own admissions. You won’t be surprised by how few there are. Do you even know anyone admitted to the hospital for these things, especially where the admissions could have been prevented with a few more screens, HRA and servings of broccoli? Shameless plug: We are happy to do this WSME analysis for you. We do these all the time. It’s $4000. We can also tell you your savings, ROI, trend, comparison to others over time, and more. We also adjust for the major secular decline in cardiac events that has been taking place anyway for decades that the Committee seems to be unaware of, sort of surprising given their alleged expertise in cardiac risk reduction. Let’s say you run this analysis with or without our help, and a rate/1000 similar to the US average pops up. The HERO report says you need to reduce this rate by “only 1 or 1.25 admissions.” But that’s almost half of your total 2.6/1000 WSMEs! And in any event, you’ve probably seen by now – if you downloaded the spreadsheet – that Page 15 seriously underestimates your wellness program expenses, meaning your breakeven reduction needs to be much higher than “only 1 or 1.25.” It’s probably higher than the number of admissions you have available to be reduced. You can enter both your admissions per 1000 and the reduction in that figure you achieved directly into the spreadsheet. See The Million Dollar Workplace Wellness Heart Attack Screen in Health Affairs for a more in-depth view of the math. But the entire committee writing this HERO report insists wellness saves money, right? So, it’s us against them, right? A he said-she said? Wrong. Here’s the denouement. On Page 23, the report’s own example shows that wellness only saves $0.99 PMPM! That figure, by the way, is grossly overstated for reasons we will get to when we deconstruct Page 23. But for the time being, here it is. So even their own comparison of their own overstated savings estimates to their own understated cost estimates reveal: wellness is a loser financially. They have already admitted it is a loser for employee relations. Funny — if we had made these two arguments, they would attack us. But they are making these two arguments themselves. And they have already admitted that “pry, poke, prod and punish” programs are bad for morale. Now you see why RAND’s PepsiCo study showed a negative ROI from wellness: It’s because there is a negative ROI from wellness, which no one disputes any more. And you see the reason we asked the question in the last installment: Why would any company “do wellness” if the biggest proponents of wellness – people who make their living off it – admit that it’s a waste of money that adversely impacts morale? Likewise, now you see why wellness vendors and consultants get “outed” all the time on this site, advocate savings methodologies designed to obfuscate rather than enlighten, and try to prevent you from learning that we exist. We are not saying they are sociopaths. Sociopaths lie for no reason. Conversely, wellness vendors and consultants are just trying to keep their jobs. Bleeding customers or clients dry is only a good job security plan if indeed the customers or clients never find out about it. But now customers know how their own vendors and consultants really feel. And we can all work together to dismantle these programs and start doing wellness for employees instead of to them. We have a little dispute with RAND’s Soeren Mattke. He says the wellness industry modus operandi is, whenever one claim is disproven, to switch to another claim. We say the reason they are known as the Wellness Ignorati is, their strategy is to ignore facts, including ones they admit, and they will simply just ignore this posting so as not to create a news cycle, rather than switch claims. There is also the chance that they admit that their own financial model is accurate. This would demonstrate integrity, a quality historically in short supply in this field. While we aren’t deconstructing this as a sales tool for Quizzify. But as it happens, Quizzify is literally the only wellness program that does pay for itself. Don’t take our word for it. Quizzify is 100% guaranteed to save money and improve morale/engagement–exactly the opposite of what the HERO report says usually happens. No other wellness program is either, let alone both. With all the incompetence, innumeracy, illiteracy and downright dishonesty we’ve documented in this field and with all the employee dissatisfaction, revolts and lawsuits, one can’t help but wonder: Why? Why would any employer do this to their employees? Why aren’t vendors held to minimal standards of competence? Why do vendors and consultants caught lying simply double down on the lies and/or ignore questions about their lies–knowing full well they’ll get away with it because workplace wellness has nothing to do with actual wellness so no one cares that it doesn’t work? Why are benefits consultants allowed to lie about outcomes for their partnered vendors? Why, after they get caught lying, do they win awards for those very same outcomes? Why doesn’t anyone care that much of what they say and do is wrong? Why doesn’t anyone care that poking employees with needles far more than the USPSTF advises produces no savings? Why put up with the morale hit from disgruntled employees and possible lawsuits? You might say, they don’t actually “admit” it. Well, obviously they aren’t going to skywrite it. But how else would one interpret this comment? Obviously they aren’t going to save money right away by “playing doctor” and poking employees with needles. Especially because they aren’t even adhering to legitimate preventive services guidelines, such as those from the United States Preventive Services Task Force (USPSTF). They also still subscribe to the urban legend that 75% of an employer’s spending is lifestyle-related, even though that myth has long since been discredited as meaningless and misleading for employers. Creatinine and thyroid screens are not recommended by the USPSTF, so they shouldn’t be done at all, let alone provide the basis for claiming savings. So, we have eliminated everything except the obvious: employers get to collect fines for employees who care too much about their health and/or their dignity to submit to Bravo’s offer to play doctor. This is the classic example of wellness done to employees instead of for them. The Bravo website is sprinkled with discussions of appeals processes for employees who face punishments for the crime of weighing too much and/or other personal shortcomings having nothing to do with work performance (and precious little to do with healthcare spending during the working years)…but everything to do with transfering wealth back to the owners. As is our policy, we offered Bravo a chance — and $1000 — to provide an alternate explanation in a timely way, which they didn’t. Two differences between that forfeiture and Bravo’s punishments: Bravo lost their $1000 (of our money) for simply being unwilling to jot down a few words, whereas they brag about fining employees $1000 (of their money) for not being able to lose weight and keep it off, which is far harder than writing down a few words. And the other difference about the $1000? Having just raised $22-million, Bravo won’t miss it. August Update: As a result of this expose, Bravo has taken all this stuff off their website. They no longer brag about fining employees, they no longer discuss their appeals process at length on their site and they no longer pitch their D-rated lab tests like creatinine and thyroid. This is typical vendor behavior after getting caught. Score one for They Said What. Oh, the twists and turns as Ron “The Pretzel” Goetzel tries to wriggle out of all his ethical stumbles. How obviously was the data made up? Well, take a looksee at this slide, comparing participants to non-participants. This is the classic wellness ignorati ruse: pretending that non-motivated inactive non-participants can be used as a valid control for comparison to active, motivated participants. The wellness ignorati would have us believe that any healthcare spending “separation” between the two groups can be attributed to wellness programs, not to inherent differences in motivation between the two groups. 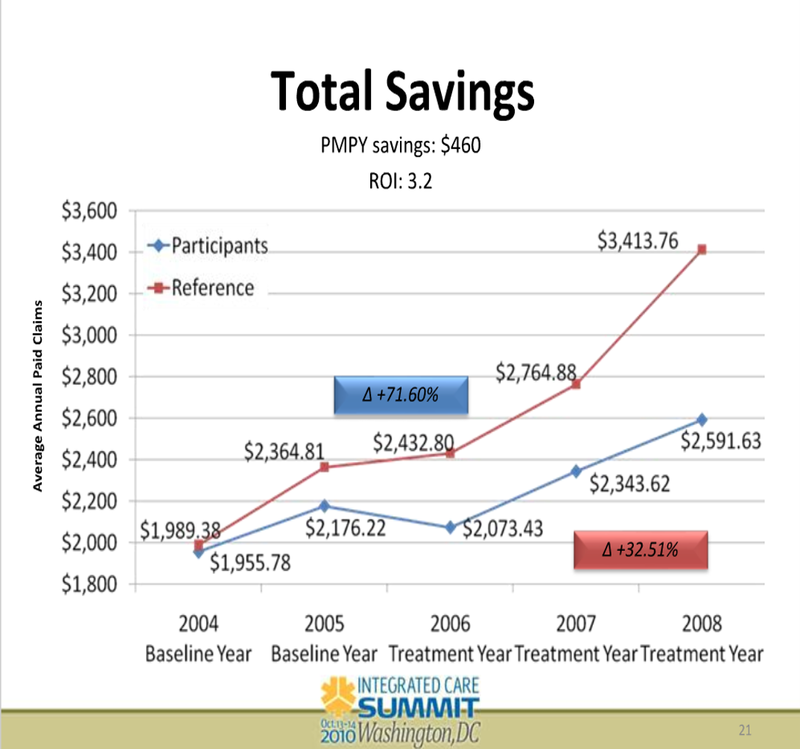 Unfortunately for the ignorati, their own slide invalidates their own argument: in 2005, the label “Baseline Year” shows there was no program to participate in, and yet – as their own slide shows – participants (in blue) significantly underspent non-participants (in red) nonetheless. In Surviving Workplace Wellness, we call this “Wellness Meets Superman,” because the only way this could happen is for the earth to spin backwards. Given that the 2005 baseline label was in plain view, we just assumed that HFC did not indeed have a program in place for this customer (Eastman Chemical) in 2005, which is why they called 2005 a “Baseline Year” instead of a “Treatment Year.” Not actually having a program would logically explain why they said that didn’t have a program, and why they used that display or variations of it like the one below for 4 years with the exact same label. Presumably if they had had a program in 2005, someone at HFC would have noticed during those 4 years and relabeled it accordingly. Originally we thought the Koop Award Committee let this invalidating mistake slide because HFC — and for that matter, Eastman Chemical — sponsor the awards they somehow usually win. But while trying to throw a bone to HFC, the Koop Award luminaries overlooked the profound implication that the year 2005 separation of would-be participants and non-participants self-invalidated essentially the entire wellness industry, meaning that is is an admission of guilt that the industry-standard methodology is made up. We call this the “Dumb and Dumber” defense. 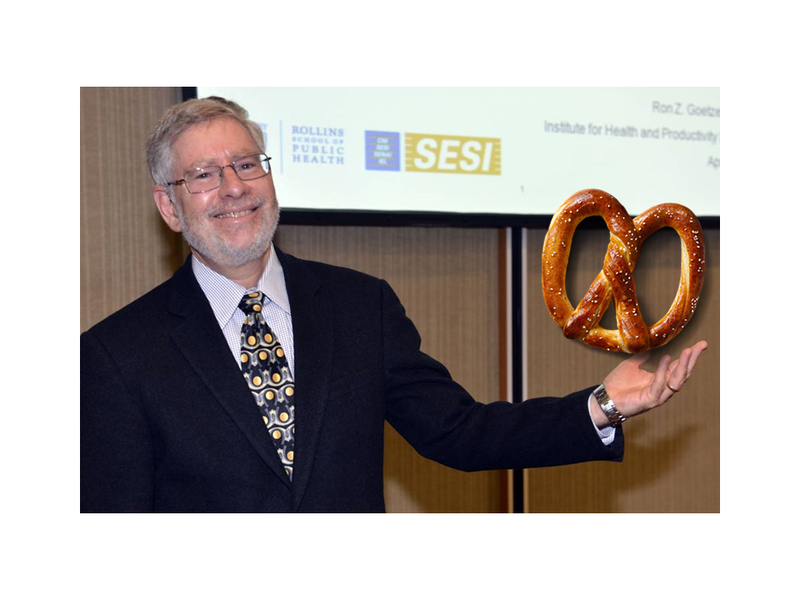 Given two choices, Goetzel the Pretzel would much prefer claiming sheer stupidity on the part of himself, his fellow Koop Award committee members like Staywell’s David Anderson and Wellsteps’ Steve Aldana, and his sponsor HFC, rather than admit the industry’s methodology is a scam and that they’ve been lying to us all these years to protect their incomes. How could no one – no member of the Koop Award Committee or employee of Health Fitness Corporation (which used this as its “money slide” for years) – have noticed this until we pointed it out for the third time (the first two times not being as visible to the public)? If indeed it was just an “unfortunate mislabeling,” how come HFC has now expunged all references to this previously highlighted slide from their website, rather than simply change the label? As regards the third point, we would recommend that next time Mr. Goetzel invokes the Dumb-and-Dumber defense, he coordinate his spin with his sponsor. But let’s not overlook the biggest point: the entire Koop Committee – including “numbers guys” like Milliman’s Bruce Pyenson and Mercer’s Dan Gold — is apparently incapable of reading a simple outcomes slide, as they’ve proven over and over. So, as a goodwill gesture, we will offer a 50% discount to all Koop Committee members for the Critical Outcomes Report Analysis course and certification. This course will help these committee members learn how to avoid the embarrassing mistakes they consistently otherwise make and (assuming they institute conflict-of-interest rules as well to require disclosure of sponsorships in award announcements) perhaps increase the odds that worthy candidates win their awards for a change. Will the Real Kate Baicker of the Harvard School of Public Health Please Stand Up? December 30, 2014 10:55 am / 3 Comments on Will the Real Kate Baicker of the Harvard School of Public Health Please Stand Up? Harvard Professor Katherine Baicker is arguably the most acclaimed health policy researcher at arguably the most acclaimed (and not even arguably, the best-endowed) school of public health in the country. Her seminal account of the effect of Medicaid coverage on utilization and health status is a classic. As luck would have it, in 2008 Oregon used a lottery to ration available Medicaid slots. A lottery controls for motivation and as such eliminates participant-non-participant bias, since everyone who enters the lottery wants to participate. That meant only one major variable was in play, which was enrollment in Medicaid or not. Yet Professor Baicker herself used exactly the opposite methodology to reach the exact opposite conclusion for workplace wellness. And that’s where the identity crisis begins. She and two colleagues published a meta-analysis in 2010 of participant-vs-non-participant workplace wellness programs. Somehow—despite her affinity for Oregon’s lottery control—she found this opposite methodology to be acceptable. She concluded that workplace wellness generated a very specific two significant-digit 3.27-to-1 ROI from health care claims reduction alone, with another 2.37-to-1 from absenteeism reduction. The title of the article–now celebrating its fifth anniversary as the only work by a well-credentialed author in a prestigious journal ever published in support of wellness ROI—was equally unambiguous: Workplace Wellness Can Generate Savings. This article wasn’t just an academic exercise. It gave the Obama administration academic cover for what has proven to be the most unpopular, dishonest, and even hazardous component of the Affordable Care Act: allowing employers to financially and clinically punish employees with coercive directives to lose weight, get unnecessary checkups, and answer intrusive, distasteful, and counterproductive questions about (for example) checking their testicles. Professor Baicker did not question her too-good-to-be-true conclusion. Yet the Law of Diminishing Returns clearly contradicts her finding. Compelling privately insured people to get more healthcare is very unlikely to improve health status and reduce healthcare expense if provision of basic insurance to a medically needy population doesn’t noticeably improve health status while increasing healthcare expense. Instead, she reveled in the limelight, receiving 307 citations, vs. 18 and 9 for two other Health Affairs articles on wellness that didn’t support more spending on vendors and consultants. (Even 307 citations aren’t enough to satisfy one of the leaders of the wellness movement, Larry Chapman, who says this study should be cited much more frequently since it’s basically the one that supports the entire industry.) However, at some point in 2013, overwhelming evidence totally invalidated her findings. 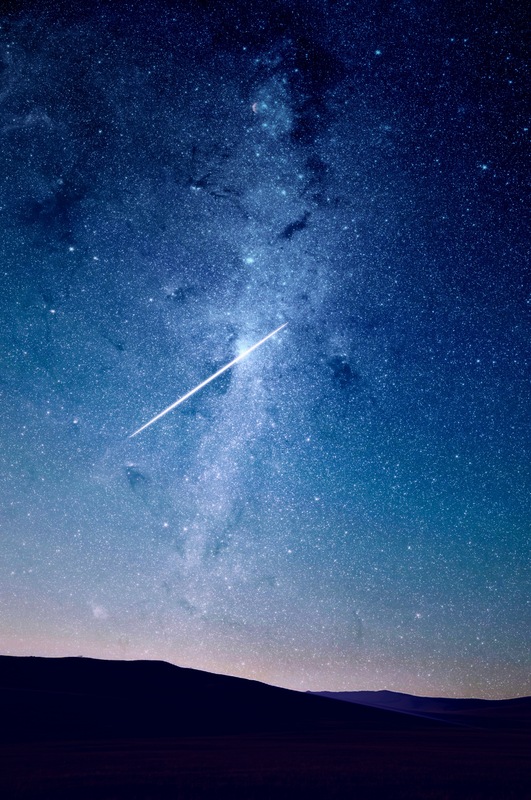 At that point – like Dee Edington and Al Lewis, both of whom had previously reversed positions when the data didn’t support their previous positions—she could have acknowledged that her initial findings had been wrong and moved on. Instead, she neither defended her position nor clearly refuted it, choosing instead a yin and yang middle ground that shifted with every interview. The metamorphosis from Queen of Significant Digits into the Queen of Significant Doubt started in July 2013, when she announced on NPR’s Marketplace that “it’s too early to tell” if wellness saves money, and that employers need to “experiment” with these programs to “see what happens to participants’ weight and blood pressure.” Right there, she invalidated herself. First, by then she certainly knew that a participants-vs-non-participants methodology was invalid since the key “smoking gun” slide in our Health Affairs posting was already widely circulated and her own opposing Oregon methodology was being widely praised. Second, even if she is right, the financial payoff for the modest “weight and blood pressure” improvements that the best programs might generate is 10-20 years in the future — and even then only if the improvements are sustained. But then came another personality change. In February 2014, she blamed readers for focusing on her attention-grabbing headline, the certainty of her two significant digits, and the gist of the conclusion…while ignoring the fine print, such as a caution about publication bias. Publication bias? You think? Start with the standard publication bias that negative articles rarely get published because they don’t get cited and hence reduce the all-important “impact factor” – recall the difference in Health Affairs citations in her own wellness article vs. the others. Add to that a publication bias specific to those journals: most of the articles comprising her meta-analysis were published in third-tier journals. Among them, these journals have exactly once published an article critical of wellness (twice if you include a book review by the esteemed Norton Hadler, whom a third-tier journal is thrilled to publish regardless of what he says, and three times if you include publication of an article by a graduate student at the University of Tasmania that accidentally undercut the true believers’ own storyline, that they are now having to explain away). Oops. First, she has just admitted she doesn’t follow wellness, so why speculate on future studies she has no knowledge of in a field she’s not involved in? Second, there is a rule of thumb in epidemiology: the bigger the impact, the smaller the sample size needed to discern it. An example would be smoking and lung cancer, a previously very rare disease whose cause was discernable from a handful of cases. A sample of only hundreds of veterans was needed to prove that very high blood pressure causes strokes, and studies of exercise almost always show either a physical or emotional benefit, even in small groups of people with significant disease. On the other hand, there have been probably close to a half-billion employee-years of wellness with nothing to show for themselves except results going the other way and a bunch of self-invalidating vendor lies. So we are going to make a radical proposal to the true believers: you can continue to cite Katherine Baicker but must also note that she herself no longer supports the study you are citing — until and unless she says she does. In exchange for this disclosure, when do you cite her, we will acknowledge that you are telling the truth for a change. Are you using the term “trusted advisors” (scroll down this linked page) to describe your prospects’ brokers? Then it appears you are offering to pay them an undisclosed sum of money to place Wellnet. Are we reading this correctly? 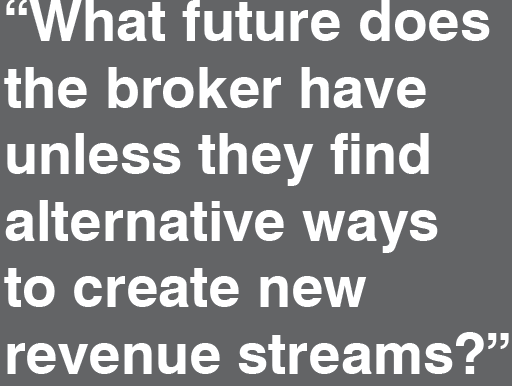 How do brokers creating new revenue for themselves at their clients’ expense (meaning selling their clients more forced wellness programs like yours) enhance their reputation as a “trusted advisor” ? If this is on the level, why not simply be explicit: “We will pay you a commission to sell our product to your clients” ?